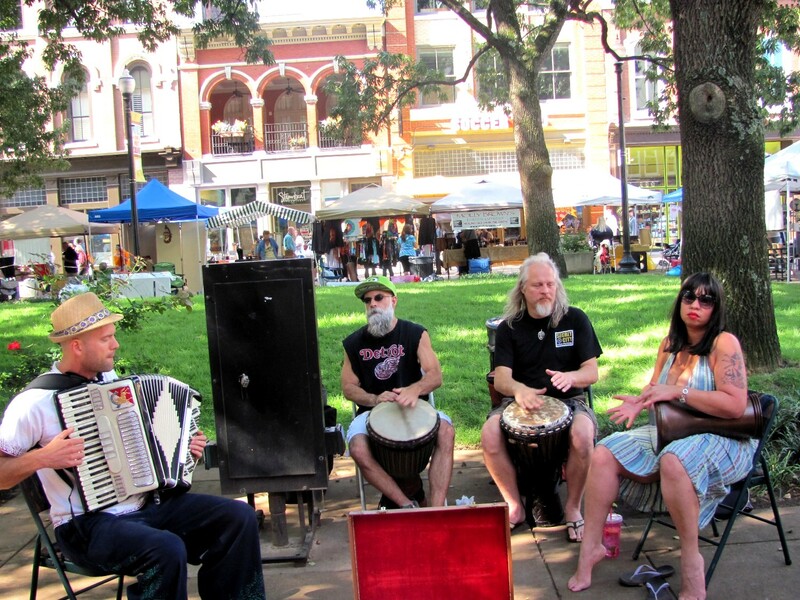 Our challenge for this week was “Music”, so I chose to share with you all the variety of music that we hear when we are doing the Farmer’s Market in Market Square, Knoxville, Tn. These shots are of our Saturday regulars. My very favorite The Big City Bruskers were not there yesterday. They play a Joplinesque type of jazz. A group of about five young people who really know their stuff. This group of musicians was my favorite of the day. The drummers seemed to never stop, whipping the crowd into a frenzy. One lady began to dance in front of them who was very good, she probably had some training. I tried to photograph her but when I got back far enough the crowd kept walking in front of my camera. 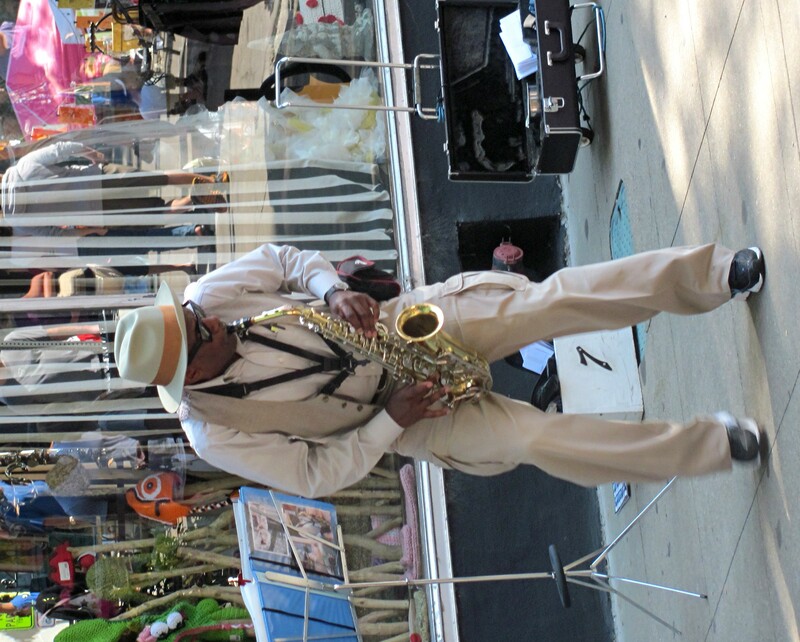 This sax player is there every Saturday. His repertoire seems to be very limited. I’ve been tempted to buy him a few new music books!! He mostly “noodles” instead of playing songs. 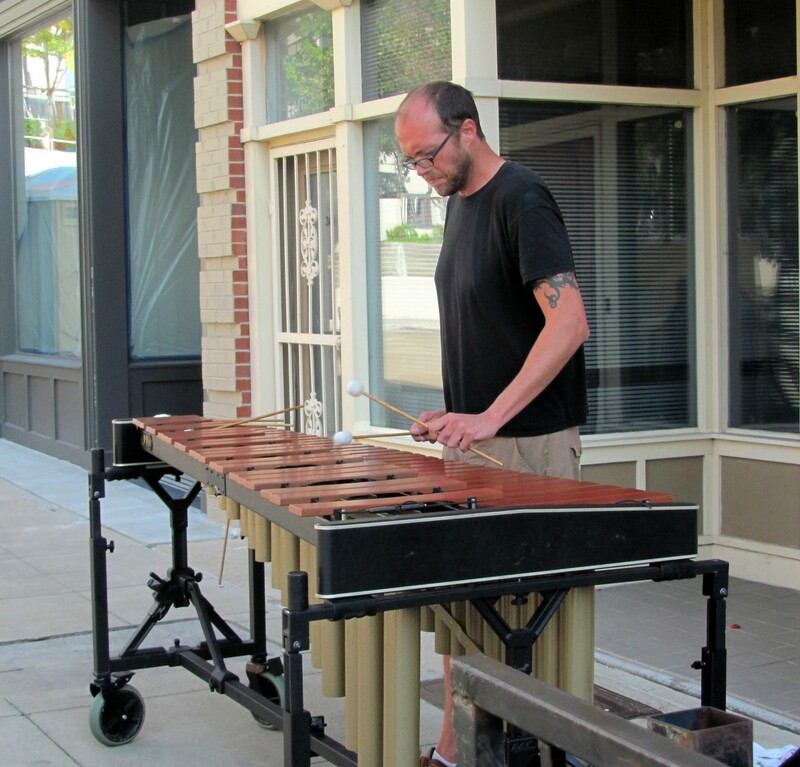 This fella playing a xylophone was new on the Square this weekend. He was quite enjoyable. 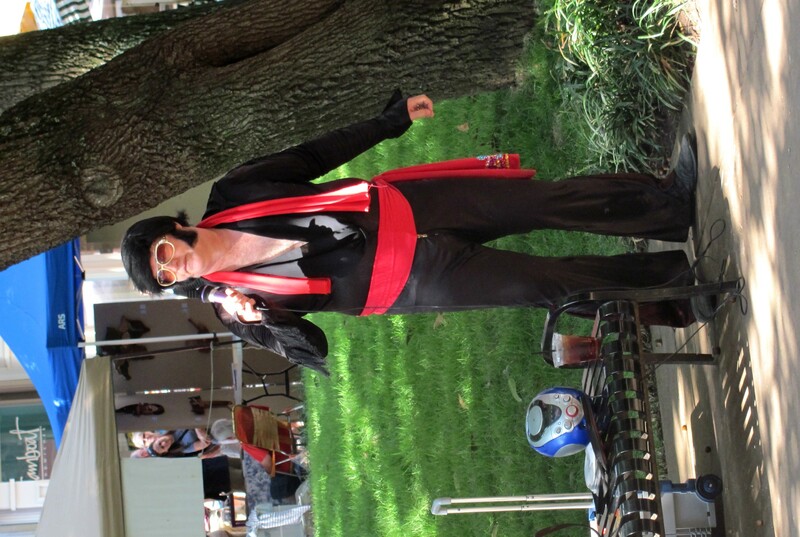 And, Elvis was back again this weekend. We first saw him six years ago when we began to do the Market. I don’t know how to say it politically correctly, but this young man is “slow” and his mother seems to be taking advantage of his talent. She sits off to the side and tells him just what to do. She is in charge of the tips!! This is a very interesting couple. He plays the squeeze box and she sings. When she isn’t singing he is playing mostly Cajun music and the crowd and little kiddies like to dance to his tunes. 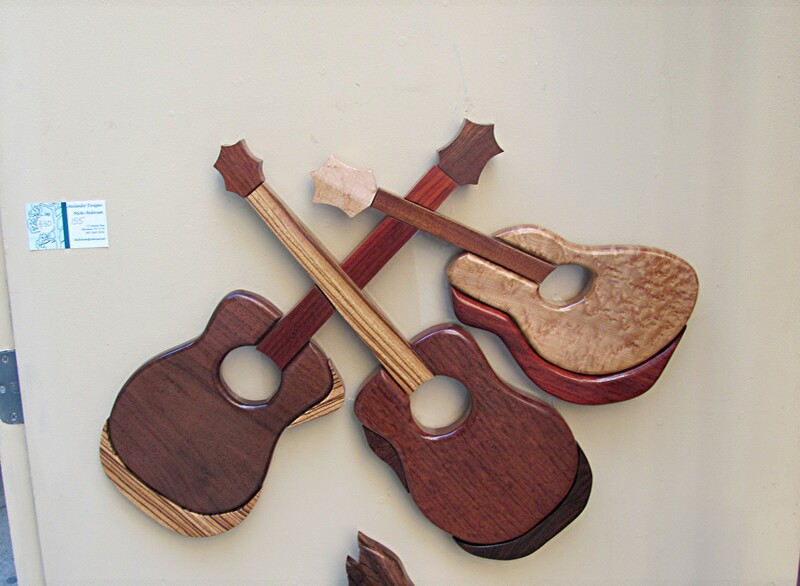 Guitars made in an intarsa form of woodworking. These were made by a lovely lady who was having her first Saturday on the Square. She was doing very well. I noticed this quitar wall hanging was one of the first to sell. It was about 3′ across. I am posting this picture in memory of Big Daddy who passed away a couple of years ago. 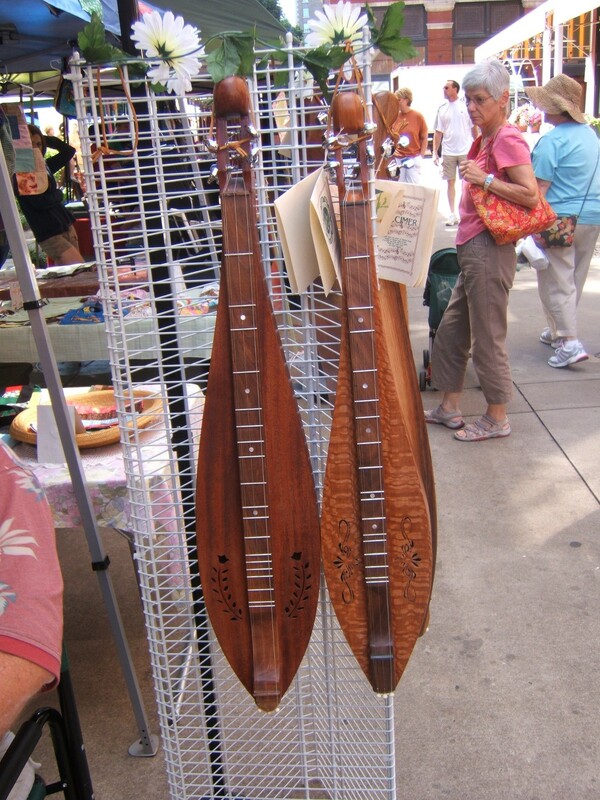 He made these beautiful mountain dulcimers. He would sit in his booth and play all morning. I really miss him. So, this is my collection of music themed pictures for today’s challenge. I am now off to look at everyone else’s entries. Have a nice week ya’ll and enjoy this beautiful Fall weather. This entry was posted on September 23, 2012 at 4:28 pm and is filed under Uncategorized. You can follow any responses to this entry through the RSS 2.0 feed. You can leave a response, or trackback from your own site. What a fantastic time everyone must be having! Wow … even “Elvis” is there! The dulcimers are just beautiful! Fascinating view into life in America. Enjoyed it. I would love to go to that farm market! Well done…sounds like a cool Market to be at. None of ours are nearly so interesting. Wow, you got a great collection of photos here! That’s one big xylophone- I love the sound of them. 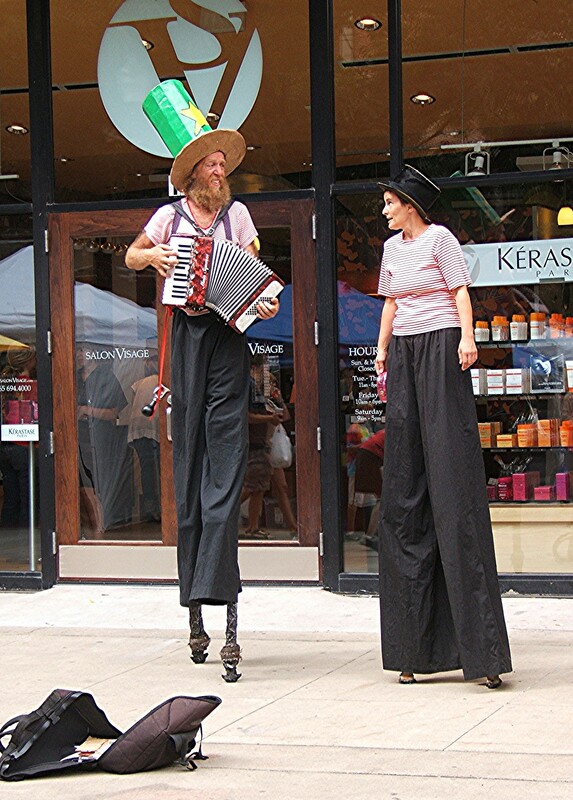 The people on stilts are pretty cool, and those are beautiful dulcimers. do you pick up the dulcimers and play and remember Big Daddy? nice collection DB, what an amazing and peaceful place you are living in. great shots dear. Can’t get much closer to true Americana than these images. Looks like fun!